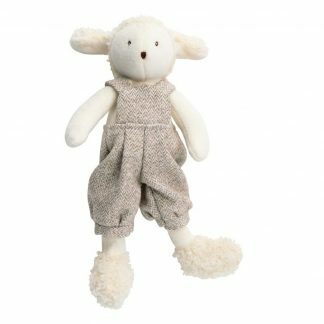 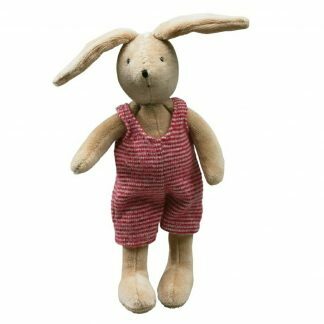 Moulin Roty’s tiny Perlette soft toy is part of the ever popular La Grande Famille, simply meaning the Grand Family and is brand new for 2017. 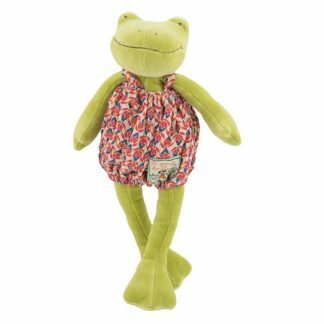 This happy Grande Famille frog cuddly toy has a soft green body, a big smile and long limbs with webbed feet. 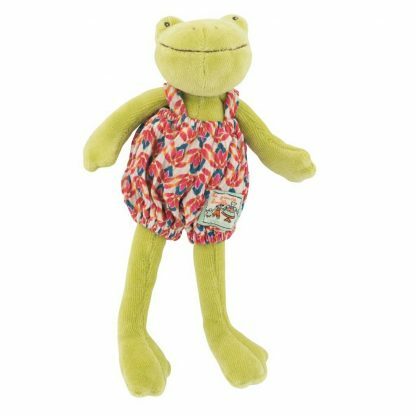 Perlette is wearing a cream romper suit in crinkly fabric adorned a red and blue pattern. 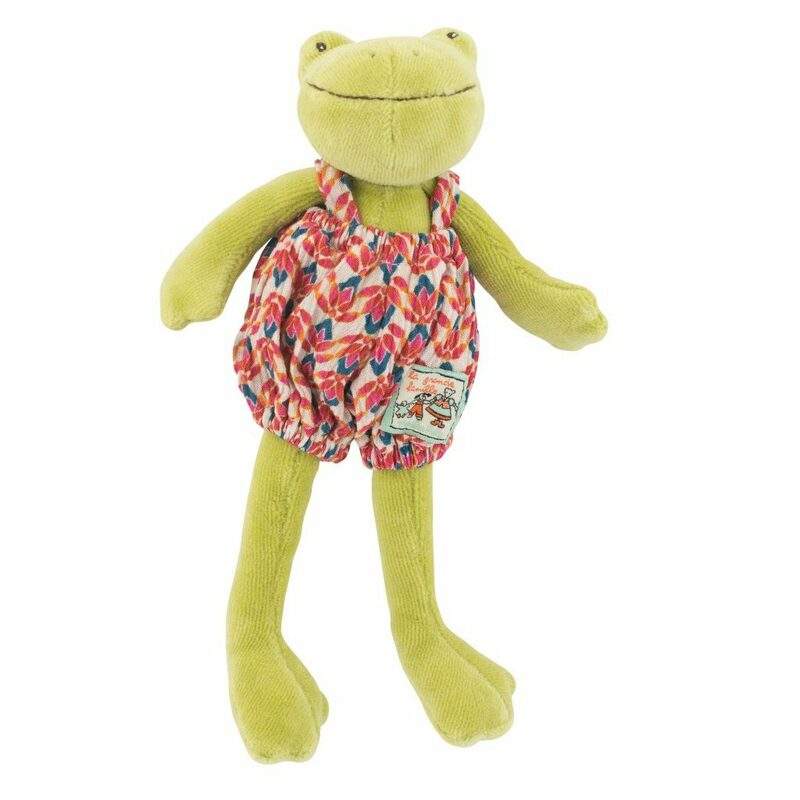 This can easily be removed (and washed if needed) and put back on again.